A paper provided by the Fluoride Action Network documents that some of the most influential epidemiologists of the twentieth century, defenders of water fluoridation, were extensively compromised by industry money. The original UK watchdog group article is available at this link. Thus fluoride may have been the first suspected carcinogen that Doll protected. He defended water fluoridation in scientific papers, public statements, and court testimony. Fluoride has been a major pollutant from the aluminum, steel, chemical, atomic, and fertilizer industries. Fertilizer industry waste is the source of most fluoride used to fluoridate drinking water. Doll’s connection with Hoover Dr. John Yiamouyiannis, in his book Fluoride, The Aging Factor, details what appears to have been a coordinated effort between American cancer epidemiologist, Dr. Robert Hoover, and Doll and Doll’s co-worker Leo Kinlen, to publish seemingly independent, but in fact duplicate studies, finding no evidence of cancer risk from fluoridated water. Dr. Robert Hoover works at the National Cancer Institute, and is an officer in the Public Health Service Medical Corps. Correspondence, obtained through the Freedom of Information Act, reveal that Hoover sent Doll and Kinlen data and calculated results, and asked them to simply check the math and then publish the same results but under their names. When published, the Doll and Kinlen paper appeared to be an independent evaluation of the issue which corroborated Hoover’s conclusion that there was no link between fluoridation and cancer. But in fact, it was simply a re-hash, with no independent data or new methods applied. 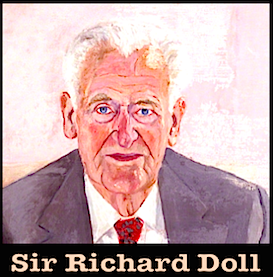 Doll and Kinlen then sent the same data on to a third group of workers in the UK at the Royal Statistical Society and asked them to conduct yet another reiteration with the same data. This coordinated effort to make it look like three groups had independently arrived at the same finding was uncovered when it turned out that Hoover had made an error transcribing the population size of one of the study cities. The two UK papers repeated this error, proving they had not independently gathered any data. In their private correspondence, they admit this gaff, and also admit they conducted no new analyses but simply repeated the same calculations on the same erroneous data. In a letter from Hoover to Kinlen and Doll: “I am sorry for this error, particularly since it seems to have been perpetuated by yourselves and the Royal Statistical Society. I am a bit distressed also that neither you nor the Society checked some of the original numbers. When Professor Doll visited us, I believe I suggested that the numbers be checked against the original sources, since our reanalyses were done very hastily and under severe political pressure. In fact, I thought the Society had abstracted the data themselves, since I did not send them any of the original material. However, they must have obtained it elsewhere, as they have the erroneous number also.” (Sept. 26, 1977)Of course, the Royal Statistical Society authors did receive it “elsewhere”, from Doll and Kinlen. That’s why it contained the same error in the data, exactly as it had been given to Doll and Kinlen by Hoover. This embarrassing episode for Robert Hoover back in the mid-1970s was not an isolated instance for him concerning the question of fluoride’s carcinogenicity. In the early 1990s, right after a National Toxicology Program animal study found evidence that fluoride caused bone cancer, Hoover was again enlisted to defend against this alarming evidence. He did a new epidemiological analysis focused on bone cancers. His first method of analyzing the data returned disturbing positive results, especially for the US Public Health Service, his employer and the leading proponent of fluoridation in the US. In Hoover’s comparison of changes in bone cancer rates for young males between fluoridated and non-fluoridated counties, the fluoridated counties experienced an 80% increase relative to the non-fluoridated county rates which decreased slightly. The Public Health Service then asked Hoover to conduct another analysis, using different methods to see if this association could be “confirmed”. Hoover’s second analysis methods were flawed. He compared rates of bone cancer in counties which were in different states and therefore not comparable. Also, Hoover had different mixes of counties occurring in the different exposure level categories. Essentially, he was comparing apples to oranges, so it was not surprising that he found no association between “duration of fluoridation” and bone cancer rates. The Hoover-Douglass connection. The connection between Hoover and defense of fluoridation continues to the present day. Hoover was recently put in charge of the Harvard study of osteosarcoma and fluoride, taking over as Principal Investigator from Dr. Chester Douglass. Douglass has been accused of covering up his graduate student’s study, which found a significant strong association between fluoridation and osteosarcoma, the most common form of bone cancer. Douglass happens to also be on the payroll of Colgate, a major seller of fluoridated toothpaste. Like Doll, Douglass appears to have a conflict of interest with industry. Douglass’ student, Dr. Elise Bassin, eventually published her groundbreaking study with several Harvard co-authors but not Douglass. Hoover has kept out of the spotlight in this most recent episode, yet he has been co-author of reports and presentations which have perpetuated the cover-up of Bassin’s results. These claimed no evidence of a link had been found in the Harvard osteosarcoma-fluoride study. 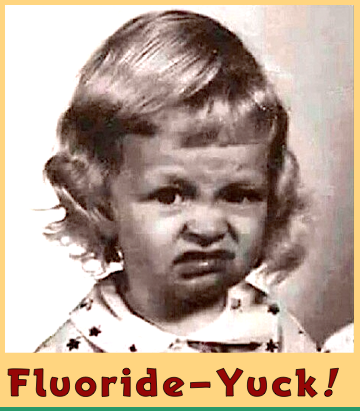 Recently, the history of defending fluoride came full circle back to Doll. Doll’s name is invoked in a letter to the editor from Douglass, responding to the publication of Bassin’s findings. Douglass tries to justify the delay in publicizing Bassin’s finding by citing Doll’s experience after uncovering cigarette smoking as a cause of lung cancer in the 1950s. Douglass incorrectly states Doll chose to delay publication of his first findings until follow-up studies could confirm the link. Yet it was not Doll’s choice to delay publication, it was the head of the UK Medical Research Council who urged delay, saying that Doll’s startling new finding would be too disturbing in a country where over 3/4ths of men smoked. Perhaps things have not changed so much. In the US in 2006 is it “too disturbing” to publicize a scientific study which finds that fluoridation causes bone cancer, in a nation where 2/3rds of all people drink fluoridated water? Have Douglass and Hoover suppressed Bassin’s findings? Where will their own analyses lead? Their study began in 1993 and today, 13 years later, they have yet to publish a single result of those studies. Yet they keep promising that they will publish soon, including results of more “sophisticated” analyses using bone biopsy specimens to determine fluoride exposure. Yet recent revelations indicate their bone specimen study has a severe design flaw, potentially fatal to its validity. The control bone samples were all obtained from cancer patients in the same hospitals as the osteosarcoma cases. But never mentioned publicly until this year was that all these cancer controls were bone-cancer patients, mostly with Ewing’s sarcoma, the second most common form of bone cancer after osteosarcoma. If fluoride causes both these forms of bone cancer, which is distinctly possible because fluoride concentrates in bones, then using Ewing’s sarcoma patients as controls would make as little sense as comparing levels of cigarette use between cases with one form of lung cancer and controls with a slightly different form of lung cancer. This is one of the worst choices of controls imaginable. Yet it is exactly what Hoover and Douglass have done. If their comparison of osteosarcoma to Ewing’s sarcoma patients shows little difference in fluoride exposures, that will hardly be convincing evidence that fluoride does not cause bone cancer. US Public Health Service employees like Hoover defending fluoridation against scientific evidence of carcinogenicity may represent a new, insidious form of conflict of interest. It is not as obvious as industry funding a scientific researcher. Instead, a federal agency is the intermediary between industries’ interests and questionable scientific studies. Behind the scenes efforts by polluting industries seem to have played an important role in the US PHS choosing to endorse and promote fluoridation, starting in 1950. Now we learn that $ir Richard Doll, a supposedly independent academic/government researcher, received millions of dollars from polluting industries. In the 1970s Robert Hoover of the National Cancer Institute worked closely behind the scenes with Doll to defend fluoride. Today Hoover is still apparently defending fluoride against scientific evidence. Hoover’s colleague Douglass invokes Doll to justify delaying publication of an important new study which found a clear link between fluoride and osteosarcoma. Where does industry manipulation of science leave off and government collusion take over?